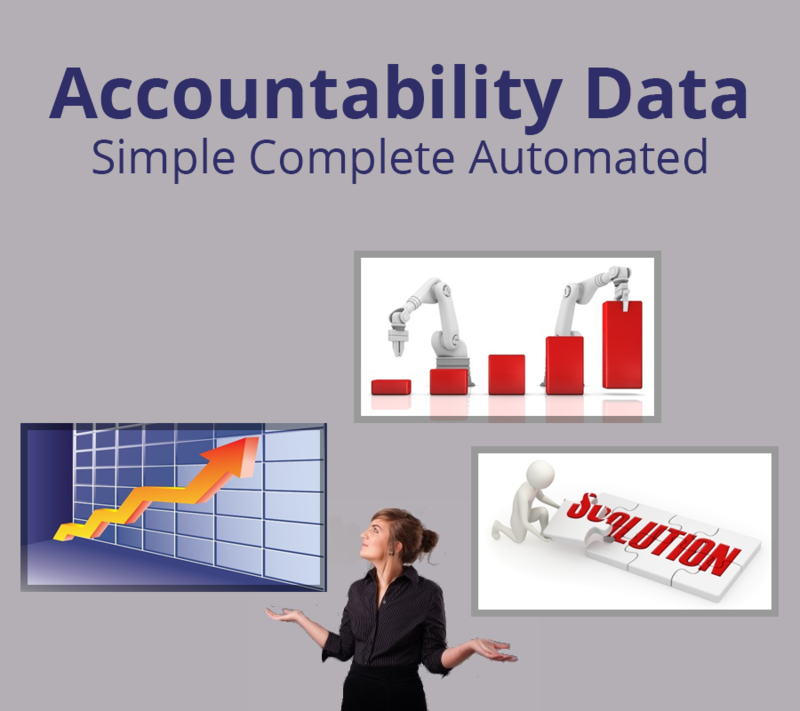 Accountability works well when Key Performance Indicators (KPI’s) used are simple, automated and complete. Good results happen when two of the three are in place and used consistently. Great results happen when all three occur. Some argue that it is impossible to accomplish all three in a large organization as it is not simple to automate KPI’s that provide complete results. The closer one comes to a balance of these three factors, the better the results for the investment in the KPI system. Using KPI’s that a team understands are accurate indicators of performance greatly increase their accountability and thus performance. The fewer the items that are tracked the simpler the communication process for using the KPI’s. Additionally, the fewer the number of KPI’s used, the simpler it is to explain and justify. Understanding is often deemed essential to team buy-in. There is much debate about the reasons that accountability improves performance, but there is little debate that simple trumps complex when addressing the communication to those that participate. Simplicity, however, will not allow team buy-in if there is not a adequate representation of the performance that is indicative of success. Looking at sales alone without consideration of the cost of sale of the quality of service may not provide a long-term measurement of success. Others may counter, however, that long term tracking of sales does consider quality and costs as only profitable and quality sales are sustainable. If KPI usage is going to be a trending tool to suggest change, then early information is essential. It may be that a ratio of multiple KPI’s can be formed to provide a simple presentation, but may have a complex process to gather and calculate. In a survey by BandyWorks , 76% of the companies reported using 2-10 KPI’s, while 10% reported using more than 10 measurements. Finding the right number, need not be a onetime judgment. As tracking is used, performance results will show which indicators are best. For companies without any KPI’s in place, it may be better to start with a few extra if the collection burden is reasonable and then fine-tune after results are determined. Of course, accuracy must be considered or the determination cannot occur with meaning. While measuring important results is critical to performance management, time spent tracking instead of performing one’s main task is not time spent producing. Ideally, measurements result from the natural execution of work. More likely, systems are created that capture performance metrics as part of the process (e.g., gallons of gas sold, POS sales results, pounds of product produced from a machine). Many times, however key tracking information such as phone calls, sales visits, web site visits have limited automation to record and consolidate with other KPI’s. Top performers usually believe in tracking and want great accountability, but few of best prefer manual recording of information. Not only is it time consuming, it is has potential for inconsistent, untimely and inaccurate results. Automation should be used when it has the ability to provide an increase in accuracy, faster results or less labor. Of course, such systems require an investment and have risks of completion. A good management and IT team should be able to create processes with automation that provide accurate results at a price that returns value in a reasonable amount of time. Of course, many consider the cost of not having such a system in place when they allocate funds. Typically, those companies that are growing and have distributed locations, machines or people are those with high justification for automation.